This post is brought to you by Vitafusion™ and L’il Critters™. All opinions are my own. Everywhere you look these days you see information on how to live a healthier life. Whether the advice is aimed at adults or children, there’s generally a similar theme; being healthier is made to look like an easy task. In real life, however, this is not the case. Plans change just as quickly as you make them, and children don’t always cooperate. While you may have nutrition planned to an exact science, getting your children to actually consume the healthy meals you’ve prepared is another obstacle entirely. That’s why it’s imperative to have a backup plan to ensure both the adults and the children in your home end the day with the nutrients and vitamins they need! 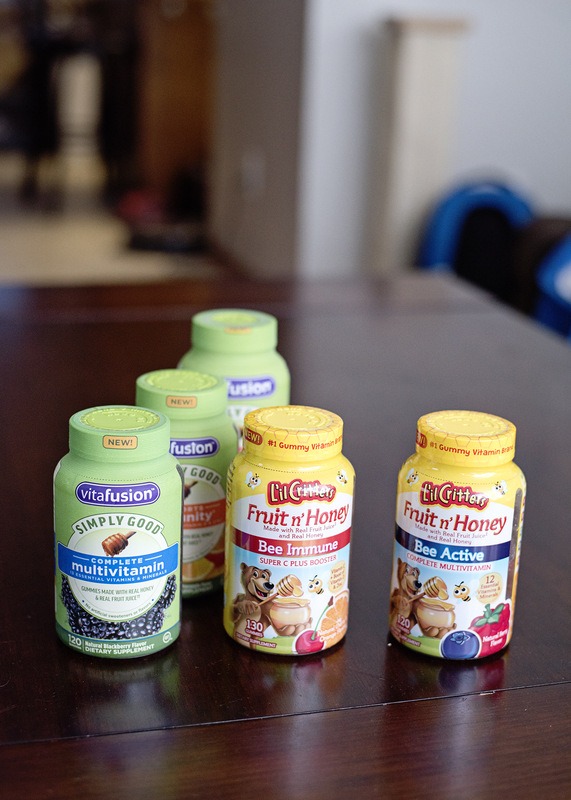 How do you ensure your family gets their daily vitamins? Vitafusion™ and L’il Critters™ products provide two foolproof ways to do that. The makers of these products prove that nutrition can be delicious and easy. Their two new lines, Simply Good and Fruit n’ Honey, combine taste and nutrition with real ingredients. The Simply Good line of vitafusion was launched in 2017. This line takes nutrition to a whole new level. These gummy vitamins fuse together the juice from Pacific Northwest pears† and golden clover honey, and balance them with essential nutrients. With no high fructose corn syrup, gluten, synthetic (FD&C) dyes, or artificial flavors; taking vitafusion and Simply Good vitamins is more of a treat than task. The 2017 launch of the Fruit n’ Honey L’il Critters Gummy Vitamins is just the icing on the cake! 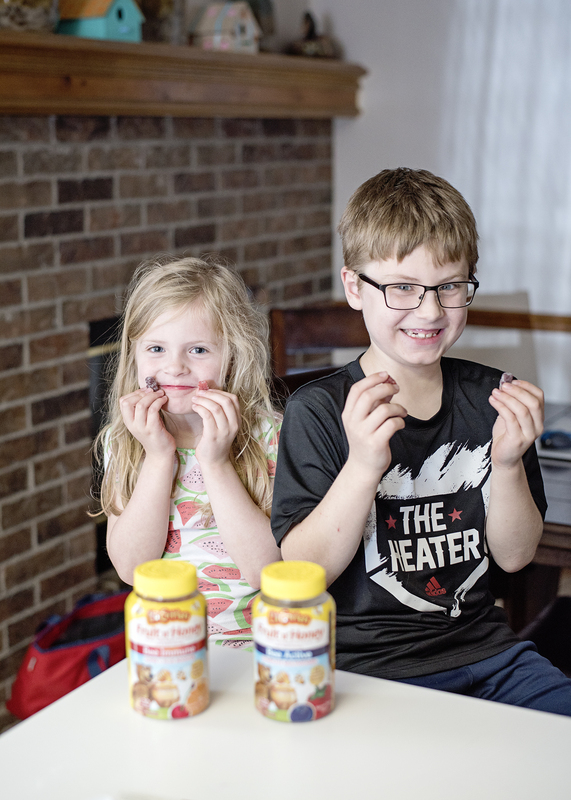 L’il Critters Fruit n’ Honey is now available nationwide at select mass, drug and grocery stores as well as online retailers. 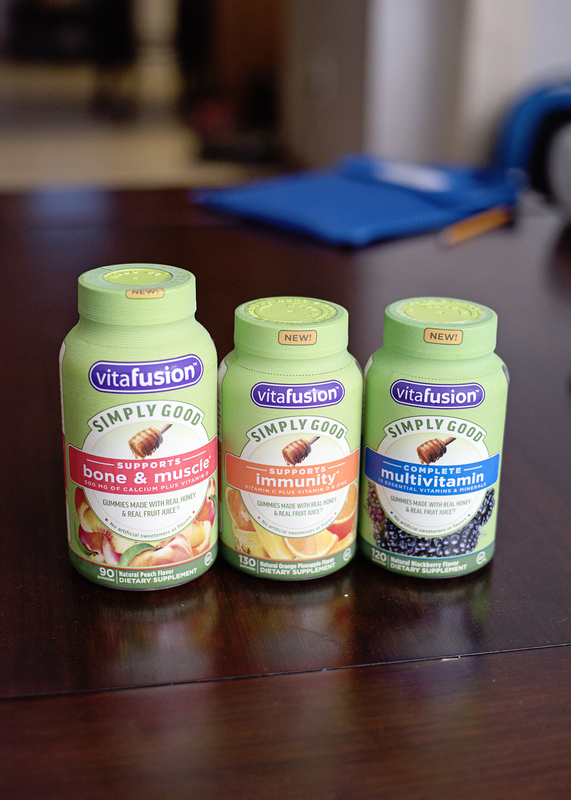 The new Simply Good line from vitafusion™ will be available nationwide at Walmart starting in April. More information can be found at www.Vitafusion.com and www.LilCritters.com or by following along on Instagram: https://www.instagram.com/vitafusion/. When it comes to delivering nutrients and vitamins to our families, none of us are perfect. I sure am not! One thing most of us have in common, however, is that we strive to do the best we can for our families to the best of our ability. Thanks to Vitafusion and L’il Critters products, we can do this in a way that is less stressful for all! Spend less time focusing on clever ways to jam pack nutrients in inconspicuously, and start incorporating them in a way that’s fun and beneficial! What’s the hardest part in getting YOUR family the nutrients and vitamins they need? Drop a comment below! † 16% pear juice from concentrate.